Today we are going to review the Bosch Rotak 36 Push Mower, as you may know, I am someone who likes to have a petrol or diesel engine on a machine! However, I want to give an honest review of this Bosch electric push lawn mower, you may be pleasantly surprised! Last year I was cutting my elderly mother’s lawn with her Bosch Rotak 36 Push Electric Mower, I have to say that I was looking for every opportunity to run this mower down as the thought of using an electric lawnmower with the cable getting caught up in every unthinkable obstacle definitely didn’t excite me! The grass was quite long as it had not been cut for several weeks, I really didn’t think that this little electric mower would cope with such long and thick grass. The grass was around 4 inches (10 cm) tall and it was thick lush spring grass. I have to say I was pleasantly surprised at how well this electric mower coped with the long thick grass, it actually seemed to cope better than some semi-commercial petrol mowers that I have used, and that’s saying something! I had to empty the grass collection box very frequently because of the length of the grass, the amazing thing is that this little electric lawnmower didn’t clog the grass chute at all. There are some petrol mowers that I have used and they can block very easily especially if the grass is a bit damp, however, this Bosch lawnmower beat all my expectations! The Bosch Rotak 36 Push Mower is a very lightweight machine, which is ideal for older people who may not have the strength to push a heavier machine and of course there is no fuel or oil to check. 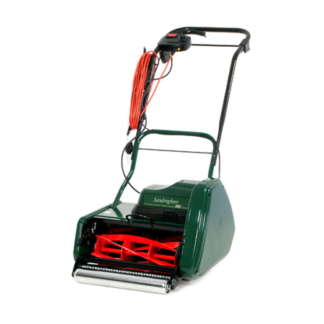 Unfortunately, with electric mowers, you have the convenience of low maintenance, but you have that electric cable dragging behind you all the time, something that I have never liked! However, I’m sure this is something that can be overcome! 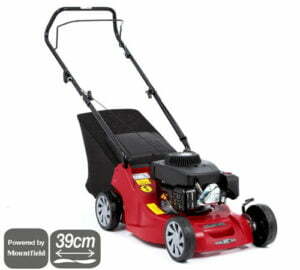 You can see reviews of the Bosch Rotak 36R Electric Rotary Lawnmower here. 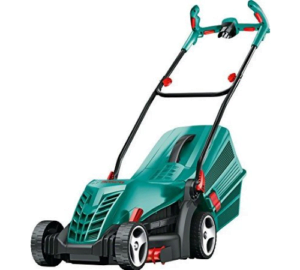 So How Would I Rate The Bosch Rotak 36 Push Mower? 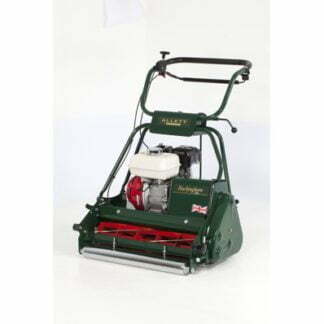 I would rate this machine very high due to its cutting efficiency and ability to cut long grass and it actually left a reasonable finish. 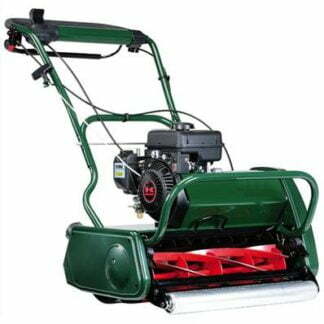 I like to see a machine that is well-engineered something that you can take pride in, however, this type of machine is in a different type of league and for what it is, it performed very well and I know this type of lawnmower would suit people with a postage stamp sized lawn. 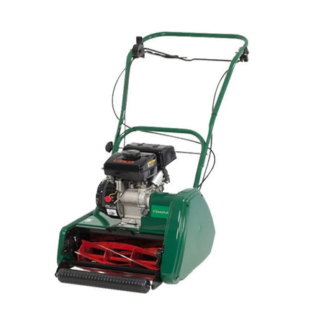 If you have a slightly larger garden and like me, you prefer something with a petrol engine on, it may be worth taking a look at the Mountfield HP414 Push Petrol 4 Wheel Lawnmower. This is a machine that costs slightly more money at £149, but it has no electric cables to deal with and has a two-year warranty. The Bosch Rotak 36R Electric Rotary Lawnmower is powered by an electric 1400 Watt motor which almost produces 2 hp of power. 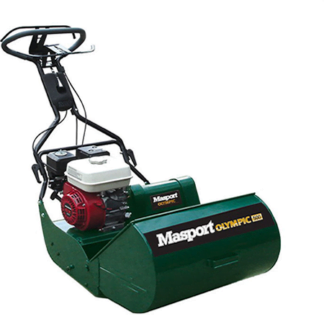 The cutting width is approximately 15 inches (36 cm) and the weight is just 12 kg which makes it extremely easy to push, especially with the easy push handle design. The grass collector capacity is a generous 40 L which is good for another of this size. There are six cutting heights between 20 and 70 mm, it’s always good to have a range of cutting heights, especially if you’re grass has become a bit long. I always tell people not to cut the grass too short, I see too many people cutting their lawn far too short which is the perfect way to ruin a good lawn. The machine also has the ability to leave a striped finish. The Bosch Rotak 36R Electric Rotary Lawnmower comes with a two-year manufacturer’s warranty. Next post: Is It Worth Buying A Strimmer Or Brush Cutter?